5 Foods to Help You Sleep - Eat. Fit. Fuel. Are you a restless sleeper? Do you fall asleep quickly only to wake up a few hours later? Or, do you feel sleepy only to have your head hit the pillow, then feel wide awake? Sleep trouble is incredibly frustrating, and anxiety provoking. Instead of calling your doctor for a prescription for Ambien or the like, here are five food options that can help you get that great night of sleep you are looking for. Surprisingly most of them contain melatonin or tryptophan; two hormones your body produces that are essential for good sleep. Other common things you will see in these foods are calcium which is key in processing these hormones. Bananas for dessert = good sleeps! Who knew that grapes have a high level of melatonin?! Red grapes that are commonly used to make Cabernet wine can be helpful when chasing sleep. Be advised, this does not mean down a few glasses of wine before bed. Have a handful of grapes. Sleep easy tonight. Have a dessert of sliced bananas. 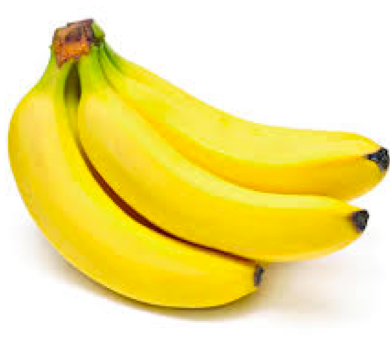 Bananas are packed full of potassium which is a essential to a good night’s sleep. They also contain tryptophan and magnesium. If you want to regulate your sleeping cycles for better overall sleep, the solution could be a nice glass of cherry juice. Cherries are extremely high in melatonin, which should have you sleeping like a baby in no time. Vitamin B has been used for years to help with anxiety, stress and to fight insomnia. Beans are an excellent source of a variety of B vitamins. For starters they have B6, B3 or niacin, and B5 or folate. Reach for a handful of walnuts, pumpkin seeds or sunflower seeds before you go to bed. Nuts boost serotonin levels – which is a neurotransmitter known to boost a feeling of well-being. They are great sources of magnesium and tryptophan.